France and the European Union are at a crucial economic juncture. Unemployment is high, the output lost to the financial crisis since 2008 has not been recovered and you have promised, in this dismal context, to eliminate French public deficits by 2017. Your predecessor had committed to achieving the same objective a tad faster, by 2016, and a distinctive feature of your campaign has been your insistence that the major burden of the coming fiscal retrenchment be borne by the richest of taxpayers. These differences matter politically (you did win this election) but they are secondary from a macroeconomic viewpoint unless the long-run future of France and Europe depends on short-run macroeconomic outcomes. The fantasy that short-run multipliers might be negative in the short run has been dispelled: a fiscal contraction depresses economic activity unless you are a small open economy acting alone under flexible exchange rates and your own national central bank runs an accommodative monetary policy – hardly a description of today’s France. Since France 2012 is not Sweden 1992, the prospect of a rosier fiscal future is not enough to outweigh the immediate recessionary effects of a fiscal contraction. To add insult to injury, if the financial crisis has lowered economic activity permanently (as previous banking or financial crises did, according to the IMF), public finances are now in structural deficit. To insure long-term debt sustainability, there is no way to escape fiscal restriction. On top of this, the consensus now recognizes that short-run fiscal multipliers are low in expansions and high in recessions. As a result, accumulating public debt in good times and refraining from running deficits in order to control debt in bad times is very costly: it amounts to squandering precious fiscal ammunition when there is no enemy and to scrimping on it in the heat of combat. A primal fear of French and European policy makers – fed by the outstanding historical work of Carmen Reinhardt and Kenneth Rogoff and the difficulties encountered by Italy, Spain or Greece to roll over their public debt – is that bad things might happen when the debt to GDP ratio steps over 90%. For instance, the sudden realization by investors that, past that level, there is no easy way to bring debt back to “normal” levels without inflation or outright default might lead to a rapid rise in sovereign interest rates. These high rates precipitate an increase in the debt to GDP ratio by raising the cost of servicing the debt and impose intensified deficit reduction efforts that further shrink GDP. Thus, crossing the 90% threshold might lead to a one-way descent into the abyss. This implies that fiscal contraction, although recessionary in the short run, is beneficial in the long run. Fiscal pain now is thus an evil necessary for long-run prosperity and debt sustainability. According to this narrative, we may survive – but only if we stop dancing right away. An opposite danger is that fiscal contraction now – in a context of public finances damaged (except for Greece) not by fiscal laxity but by the slowdown in economic activity engendered by the financial crisis since 2008 – might cause a social, political and economic breakdown or durably destroy productive capacity. Fiscal contraction is thus recessionary both in the short run and in the long run. Short-run fiscal expansion is then a necessary condition for long-run prosperity and debt sustainability. In this narrative, we may survive – but only if we keep dancing! The advisability of your proposal to reduce the public deficits to zero by 2017 depends, Mr. President, on which of these two dangers is the most intense or the most difficult to thwart. Should you be more concerned that loose fiscal policy may hurt long-run growth by increasing the cost of debt service, or should you fear instead first and foremost that strict fiscal policy may harm output durably by leading to social unrest or by reducing productive capacity? The sovereign rating of countries with large deficits and debts, like the US and the UK, has been downgraded without any adverse effect on interest rate. This suggests that markets understand, seemingly better than policymakers, that the key problem with EU public finances nowadays is not deficits and debt per se but the governance of the euro zone and its fiscal and monetary policy mix. With a lender of last resort – the euro zone has none –, managing a national debt crisis would be easy and straightforward. 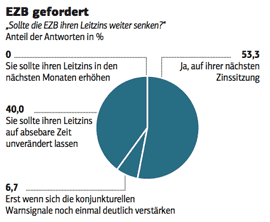 The counter-argument that it would lead the ECB to monetize public debts, in sharp contrast with the statutes of this institution and its duty to reach price stability, is invalid: the ex-anteability to monetize debt would reduce risk premia by eliminating self-fulfilling runs on national debts. Ugo Panizza and Andrea Presbitero have shown that there is no convincing historical evidence that debt reduction leads to higher economic growth. Hence the statement that public debt reduction is a prerequisite to economic growth is at worse an assumption, at best a correlation, but in any case not a causal relation supported by data. Twenty years of Japanese stagnation remind us that deflation is a deadly and durable trap. Under-activity pushes prices down slowly but surely. Paul Krugman and Richard Koo have shown how real expected interest rates feed a spiralling of deleveraging when deflation locks into prices expectation. If deleveraging extends to the banking sector, it adds a credit squeeze to the contraction. One of the pernicious drawbacks of fiscal austerity is the destruction of human capital by long unemployment spells. Young cohorts entering now on the job market will undergo a problematic start and may never recover. The longer unemployment remains over its natural rate, the larger the frustration stemming from a bleak future will grow. Beyond human capital, firms are the place where all sorts of capital are accumulated, ranging from social capital to immaterial assets such as R&D. Philippe Aghion and others have argued that this channel links short-term macroeconomic volatility to long-term growth potential. Moreover, in a competitive world, underinvestment in private R&D impairs competitiveness. Hence, austerity, by making output more volatile, has a negative long-term impact. What is true for private immaterial assets is even truer for public assets, that is to say assets that generate flows of public goods that individual incentives fail to produce. Typically, so-called golden rules neglect such assets which are by their very nature hard to measure. As a result, the pursuit of quick deficit reduction is usually carried out at the expense of investment in assets which have a high social profitability and are essential to ensure a smooth transition to a low carbon economy. You should argue that fiscal austerity is bad for both short-term andlong-term growth and remind to Mrs. Merkel that, as a result, it should be handled with the utmost care. Slowing down the pace at which austerity is imposed on EU countries is vital – both to reduce unemployment in the short-run and to maintain the long-run prosperity without which the reduction of debt-to-GDP ratios will be impossible. You should acknowledge that the fears of your predecessor were well-founded: in the absence of a lender of last resort, slowing down austerity does expose sovereign debt to the risk of rising interest rates by provoking the self-fulfilling anxiety of creditors. But the experience of the US shows that the best way to deal with this danger is to have a full-fledged central bank that can act as a lender of last resort. The Maastricht Treaty should be amended fast in that dimension. Endowing the ECB with growth as a second mandate is not essential. Mrs. Merkel is right that allowing the ECB to bail out States is a sure recipe for moral hazard. You should therefore agree, as a complement of the modification of ECB statutes, with her insistence that a Fiscal Compact governs Europe but you should ask for a Smart Fiscal Compact. The Smart Fiscal Compact should aim at enforcing the sustainability of public finances in a world where the long run is not given but depends on the short-run fiscal stance. It should draw its strength from legitimate European political institutions endowed with the power to control and enforce the commitment of each country to fiscal discipline. This task will require pragmatism and evidence-based economic policy – rather than budgetary numerology and simple-minded rules. Failing to reduce deficits in Europe may end in a debacle. However, reducing them cold turkey is a sure recipe for disaster. Believing that old tricks like deregulating job markets will bring back economic growth lost in the recession is delusional, as the ILO warned in its last report. The possibility of brutal switches in economic or social trends rules out half-measures. The creeping build-up of long-term disequilibria requires prompt and decisive action in the short run. What is true for France is even truer for our main neighbours: the whole EU needs room for manoeuvre, and it needs it fast for the sake of its future. Jérôme Creel is deputy director of the Research Department, Xavier Timbeau is director of the Analysis and Forecasting Department, and Philippe Weil is president of OFCE. @Take-it-away-Jay-Emm-Kay: Ich bin erstaunt, dass es immer noch Menschen gibt, die meinen, die Laufzeit-Verlängerungs-Rote-Linie-Atom-Ausstiegs-Kanzlerin vertrete so etwas wie Inhalte. Wenn sie bei der Wachstumsfrage unter Druck geraten sollte, wird sie sich – rechtzeitig vor der Bundestagswahl – an die Spitze der Smart-fiscal-pact-Bewegung stellen und ihren Schwenk mit irgendeinem Blabla rechtfertigen (z.B. : mit der Behauptung, man könne, weil sie sie die Sparpolitik in Europa durchgesetzt habe, nun auch ans Wachstum denken). Hollande wird mit dem Schwenk zufrieden sein, der SPD wird das Wahlkampfthema abhanden kommen und die Konservativen wählen sie doch sowieso. Wahrscheinlich erboste Merkel der Versuch Röttgens, die NRW-Wahl in eine Abstimmung über ihre Sparpolitik umzuwandeln, deshalb so sehr, weil sie hierdurch zu einem Zeitpunkt auf eine Position festgelegt worden wäre, zu dem sie bereits Lockerungsübungen ausführte. Naja, ganz so opportunistisch ist die Merkel ja dann doch nicht (Ich wünschte, sie wäre es). Die rote Linie in Bezug auf Atomstrom hat sie überschritten, weil die Umfragewerte ihre Position untragbar gemacht hatten. Das Problem mit ihrem radikalem Austeritätsfetischismus ist aber, dass das dt. Volk diesen Kurs mit deutlicher Mehrheit befürwortet, also muss sich Merkel politisch nicht großartig bewegen, zumindest nicht im Inland. Deshalb setzte ich meine Hoffnungen jetzt auf das Team Hollande/Monti/Cameron/Obama (möglicherweise auch Rajoy?). Obama hat ja schon angekündigt, Hollande’s Positionen ebenfalls zu vertreten/unterstützen, und ggf. massiv Druck auszuüben auf Merkel. zu überzeugen. Hmmm, sie können mich getrost als Skeptiker bezeichnen. Sonst bin ich ein ‚glass half full‘ Typ, aber wenn es demonstrativ klar ist, dass im Glas kein einziger sch..ß Tropfen Wasser mehr ist, dann sag‘ sogar ich, dass es leer ist. Beten wir also (Ich bin Atheist, also müssen das andere übernehmen), dass GR im Euro bleibt. Sonst ist es aus, und wir dürfen uns alle bei „Mutti“ dafür bedanken. Danke, Mutti!!! Mir fällt ein gewaltiger Stein vom Herzen…diese Vorschläge sind GROßARTIG, und zeigen, dass Progressivismus außerhalb Deutschlands doch noch nicht ganz tot ist. Mit diesen oder ähnlichen Argumenten kann Hollande in Europa hoffentlich breite Zustimmung bekommen, und auch die SPD sollte, wenn Sie als Partei noch halbwegs bei Trost ist, genau diese Argumente für einen erweiterten Fiskalpakt (btw: wie geil ist es denn, dass die Franzosen ihren Pakt als SMART fiscal pact bezeichnen rofl – die sind offensichtlich bereit, Merkel frontal anzugehen…Ich liebe es!!!) benutzen. Wenn Merkel weiterhin stur und dumm ihren Hayek Altar anbetet, dann wird die SPD eben die Ratifizierung des DUMMEN Fiskalpaktes (können wir als Grundregel von nun an Merkels Pakt als ‚Dumb Fiscal Pact‘, kurz DFP, bezeichnen?!?) eben blockieren, und dann ist es open season auf Merkel in der europäischen Presse und bei den politischen Eliten. Vor allem die Forderung nach lender-of-last-resort Status für die EZB ist ungemein wichtig, und man kann auch – ohne Teeblätter lesen zu müssen – sehen, dass diese Vorschläge schon eher früher als später in der Kreierung der Vereinigten Staaten von Europa resultieren würden. Und dies würde die Eurozone und die gemeinsame Währung dann da doch noch retten. Insgesamt also, immer vorausgesetzt das Hollande diese Argumente auch so vorbringt/für sich selbst akzeptiert (woran ich null Zweifel habe), kann dies eine wichtige Wende werden für Europa. Unsere rabiat-radikale Frau Merkel wird hoffentlich bald völlig isoliert sein in Euroland, und dann ist die Rettung ja auch noch möglich. Jetzt bloß nicht umfallen, Hollande!! !